It’s nearly Springtime brides! 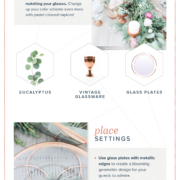 If you’re a June bride or later it’s time to start thinking about your wedding decor! We hunted down the top four wedding decor trends for 2017 and here they are. Number one is : Paper decor. Give us a moment here – you may be thinking paper? That’s cheap and not classy but wait, it can be! Paper decorations can range from table toppers to flowers. 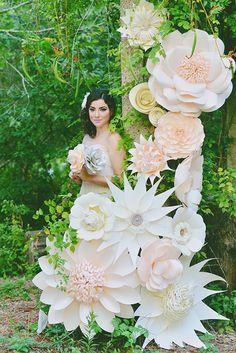 They can be less expensive than actual flowers depending on how many and how intricate you want your paper wedding decor. Check out the Paper Source for sales and deals on paper decorations. 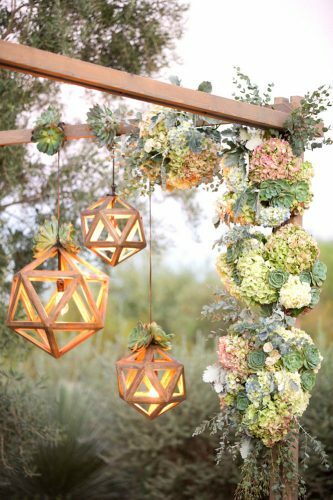 Number two is Greenery and Rustic wedding decor. 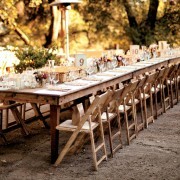 You may not be a “rustic” bride but you can still use these touches to your advantage. Guests will love a clean, nature feel with decorative greens mixed in with flowers. You don’t have to use a barn door but sometimes a well placed lantern or piece of drift wood looks elegant and jazzes up a regular old space. 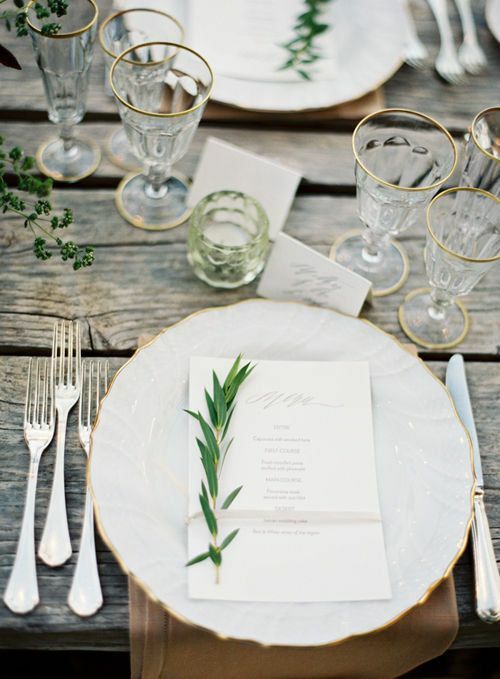 We love a simple sprig of greenery for a spring or summer wedding. It can even be something as simple as put on a plate! 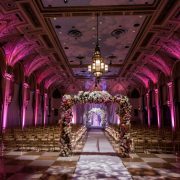 Number three on our list are hanging and tall wedding decor. These can range from chandeliers to giant center pieces. 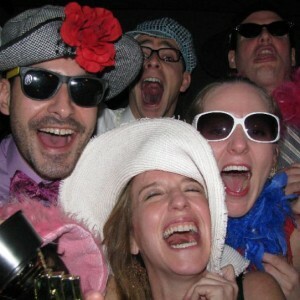 They are also perfect for a summer or outdoor wedding since they can make a big statement! 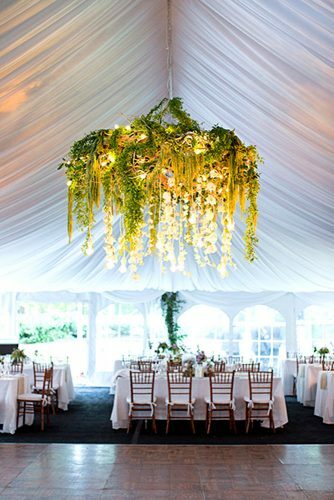 The hanging wedding decor can also incorporate the greenery theme from before. 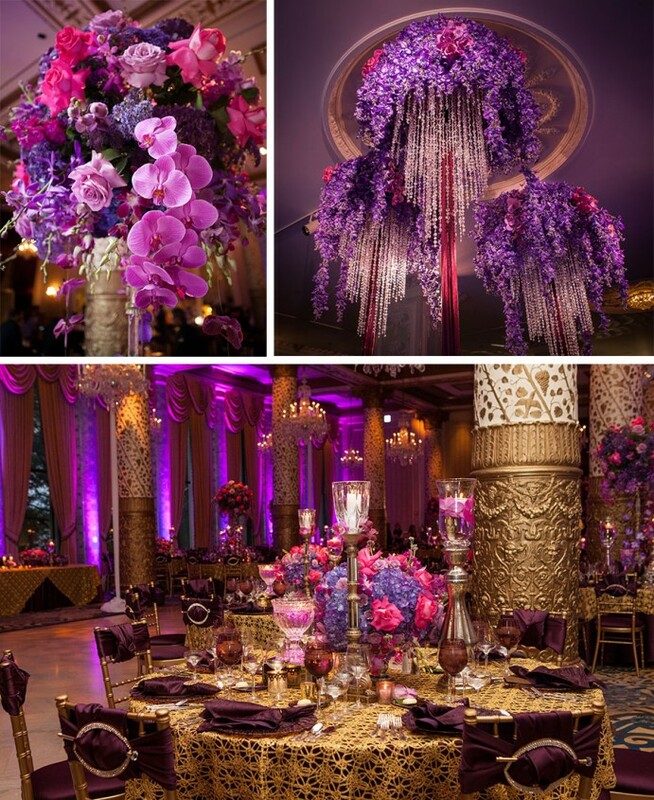 Finally, number four on our list of trending wedding decor is color! 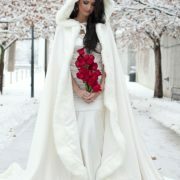 The all white wedding is out and you are free to use color to whatever advantage you want. You may pick a few colors that compliment each other or two diverse opposites! We love this lavender and pink color scheme. The colors are bold and beautiful making the room pop. 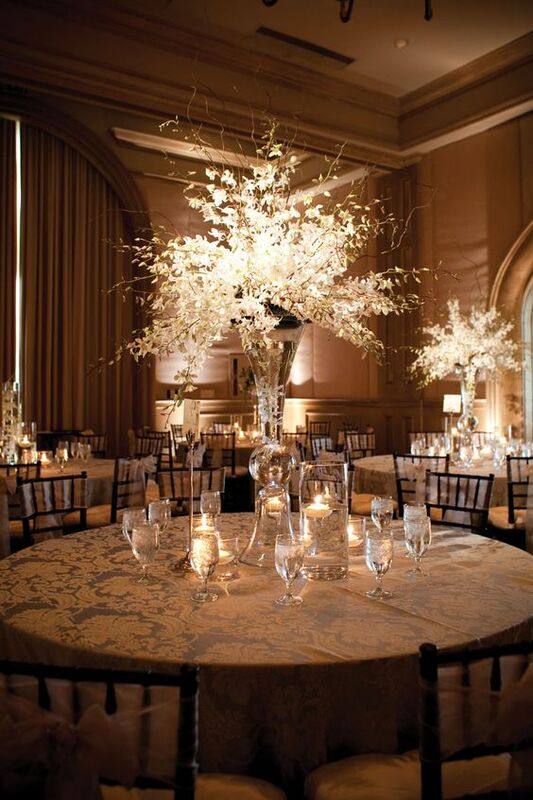 You can also incorporate light color into your reception hall as shown above. The tall wall lights illuminate the space for a cozy, romantic atmosphere.